On the path from birth to adulthood the child passes through several distinct phases. In each of these phases he is not only physically different but he also has different psychological characteristics and therefore different developmental needs. At each phase, which Montessori called a ‘plane of development’, the child has such different physical and psychological characteristics that Montessori described the passing from one plane to the next as a ‘rebirth’, as if we have a new child at each new plane who will require a different environment just as the new born baby requires a different environment from the womb in which he has spent the last nine months. Montessori called the first plane of development from zero to six years Infancy, that from six to twelve Childhood, from twelve to eighteen Adolescence and the final plane from eighteen to twenty-four Maturity. Many psychologists have described these six different planes but it is only Montessori who has given a way to respond to this knowledge as a means of education and in this way she has redefined education as an ‘aid to life’ saying that if we support the natural development of the child at each plane then we will optimise development for the whole human being. 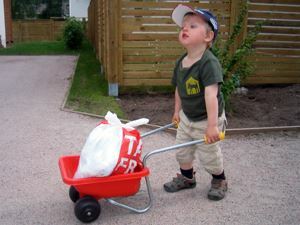 There is a particular time in the child’s life when he is most able to take a particular developmental step. These opportunities must be grasped because when they are missed the development that can take place later will never be as complete as if it had happened at the right moment. In the first six years of life the child has a very special kind of mind. It is the kind of mind that means that the newborn baby can learn any language in which he is immersed simply by living. It is the kind of mind that means that every baby becomes a child of the culture into which he is born – taking on the customs, habits, feelings and sentiments of that culture simply by living. For this reason Montessori called it the Absorbent Mind because the young child seems to just soak up everything in his environment without even thinking about it. The fact that the child has a mind like this means that much emphasis must be put on education in the first six years of life, while the child learns with total ease. 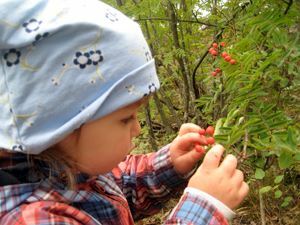 Montessori observed that during the first six years of life the child has particular periods of time when they are driven to seek something in the environment that results in them becoming engaged in some kind of activity. This activity leads them to acquire certain traits that we consider to be human – the ability to speak a language, the ability to use our hands to express our thoughts, the ability to reason. These Sensitive Periods, which overlap and support each other, last for a limited period of time and have all faded by the time the child is six, provide a timetable for optimal natural development and the Montessori approach puts great emphasis on supporting them during the first plane of development. Other sensitivities occur at particular times in the life of the older child and these are dictated by the characteristics of the child at each stage. Although these are not critical ‘windows of opportunity’ as with the Sensitive Periods they still offer an indication of the right time for particular developments to be made and as such, the support of them is given much emphasis in the Montessori approach. From the moment he is born the small baby strives to orientate himself and explore the things in his world, he reaches out to abstract meaning from everything he experiences, he is driven to be independent and he wants to find a way to communicate with the people around him. He is urged to manipulate things with his hands in order to know what they are, to concentrate on the task in front of him and to repeat things in order to make everything that he does more and more perfect. These developmental drives are all a part of the natural behaviour that humans beings take with them through life and that help the baby adapt to his new world and to develop. Maria Montessori called them the Human Tendencies and she said that the environment must allow for all of these to be freely expressed by the child if he is to flourish. 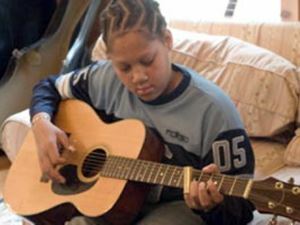 An environment that serves the particular needs of the child’s stage of development. An adult who understands the developmental needs of the child and acts as a guide to help the child find his natural path of development.